If all the social media channels were like the different kingdoms and dynasties of Game Thrones who fight about who is going conquer the entire region of Westeros, we are sure who would be sitting on the Iron Throne, and this one would be no other than Instagram. Here are five reasons why Instagram is the best platform right now, to have an impressive branding footprint. Instagram is the social media channel that offers fashion, style and beauty bloggers what they want right now: transparency for their work. And this derives from Instagram character’s itself, as it is more visual-oriented. Everything has to do with the image and what you see, less than what you are reading on an article or a blog. Therefore, bloggers who want to be regarded as experts in these industries have found lately natural homes on this social media medium without facing the urgent need to manage and have their own blogs. In the UK more than one-in-three (34%) of all brand-sponsored content being published on Instagram comes from the fashion and style vertical according to a report by CampaignDeus. A further one-in-five (21%) brand sponsored posts are dedicated to beauty vertical. To conclude: over half (55%) of all brand-sponsored posts from UK-based accounts on Instagram come from fashion and style or beauty verticals. The data shown above made the Facebook-owned platform to desire to capitalise on attracting influencers and brands. With the “branded content ads”, Instagram introduced just a new way for brands to sponsor posts created by influencers. It is nothing else but service’s attempt to build a stronger business relationship between advertisers and creators and high-profile influencers. The new feature will give the ability to filter direct messages and more in-depth analytics over their follower counts. On top of that a brand-new offering called Checkout can revolutionise even more the photo-sharing app into a direct commerce platform. Checkout lets users who have uploaded their credit card details to buy products they see in their feed, in a few clicks. Recent survey has shown that 95% of U.S Instagrammers use YouTube, followed by Facebook at 91% and Snapchat at 60 percent. And based on these statistics, and the dual character of the Instagrammers the social media channel decided to launch IG TV, a new app that promises to be different from other typical video experiences and allow users to watch long-form, vertical videos. 3. Instagram: the right path to target, reach users based on purchase behaviour and ultimately sell more. When it comes to planning an effective social media strategy, the more influencer content you make transparent the better for your brand and the goals you have set. According to recent surveys, Instagram has dethroned the video streaming site as the most popular platform for influencer content. 65% of consumers decide to view content on the Instagram, beating the video streaming platform by 3%. As someone can conclude, influencer marketing retains its purchasing power: in the UK, 81% of consumers report that they have now made a purchase by following a link shared by an influencer, and over a quarter (26%) are spending more than £500 on items recommended and reviewed by influencers. The reason why influencer marketing remains so effective in the current landscape of social media marketing is due to the trust consumers have to the users who can influence bigger audiences (influencers). 43% of consumers express they still trust the influencer to publish a post that includes an honest review from the influencer’s perspective. And this is the right direction for a brand to secure more transparency for its products. 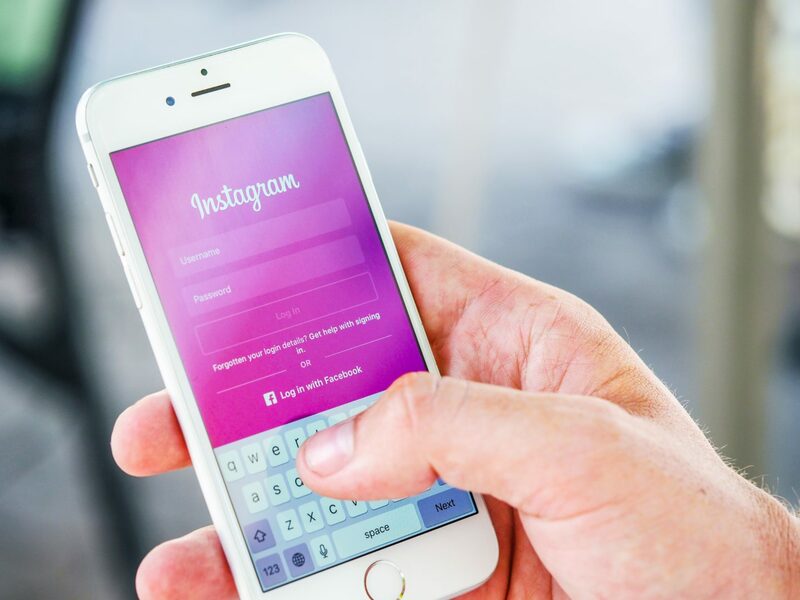 A study from Facebook proves that brands that have an Instagram account seem to have a positive impression on potential shoppers. In fact, people perceive brands that are on Instagram as popular (78%), creative (77%), entertaining (76%) and relevant (74%). Taking into account that this survey was conducted by valuating the answers of 21.000 people ages 13-64 who used Instagram at least once a week across 13 countries (Argentina, Australia, Brazil, Canada, Germany, France, India, Italy, Japan, Korea, Turkey, United Kingdom, United States), you can easily understand how useful is for marketers to make the right decisions about the social media strategy they plan and how they could make the most of the Instagram platform. The future is here, and it is drawn in the various shades of purple, pink, blue, orange, red and yellow. In other words, future uses Instagram’s colour palette.